What is the Radial Head? 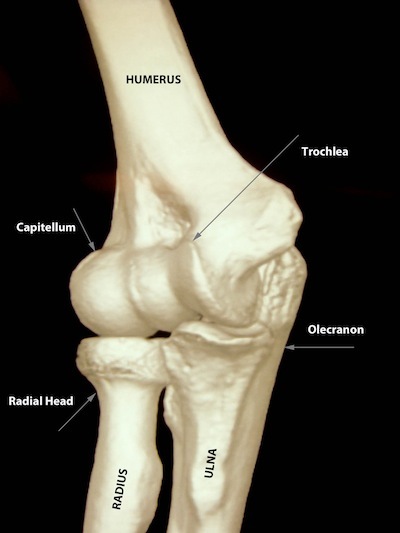 The radial head is the upper end of the radius bone of the forearm, that with the capitellum of the humerus (upper arm bone) makes up the outer half of the elbow joint. How is the radial head injured? The radial head is often injured as a result of a fall onto the hand. This may be as a result of sports or a simple fall. The injury is most often seen in younger adults and may also be seen in children. A significant force is needed to break the bone in young healthy adults. What are the symptoms of a radial head fracture? A radial head fracture will typically cause pain in the elbow which is made worse by elbow movement. There may be bruising around the elbow most often on the outer side. Rotating the hand from a palm up to a palm down position may be particularly difficult and painful. The elbow often feels stiff and swollen. In some cases the elbow joint may be dislocated resulting in severe pain and deformity of the elbow. How can my doctor diagnose a radial head fracture? The diagnosis of radial head fracture is made from the history of how the injury occurred and by examining the elbow joint. If the doctor suspects a radial head fracture the principle tool to make the diagnosis is X-ray the elbow. In most cases if a fracture is present then this will be seen on the X-ray. The X-ray may also show if there has been bleeding into the joint. Very rarely a specialist surgeon may want to use other types of imaging such as a CT scan or MRI scan if they feel that this will help with the diagnosis and treatment of the injury. How is a radial head fracture treated? The best treatment for a radial head fracture depends on a number of factors including the age of the patient, the patient’s occupation, the findings from examining the elbow, other associated injuries, how the bone has broken and how far the parts of the bone have moved out of position. Your surgeon will advise you about the treatment options for your particular injury. In most cases of the fracture has not moved significantly out of position and the patient can rotate the forearm then the injury can be treated in a “collar and cuff” sling for comfort and with pain killers as necessary. The fracture will typically take six weeks to heal but many people find that they can move the elbow without pain before this time. In some circumstances your surgeon may recommend an operation either to fix the bone, replace it with an artificial radial head or to excise fragments of bone. Which ever way the elbow is treated it is very important that elbow movement is started as early as possible and certainly within three weeks of the injury. 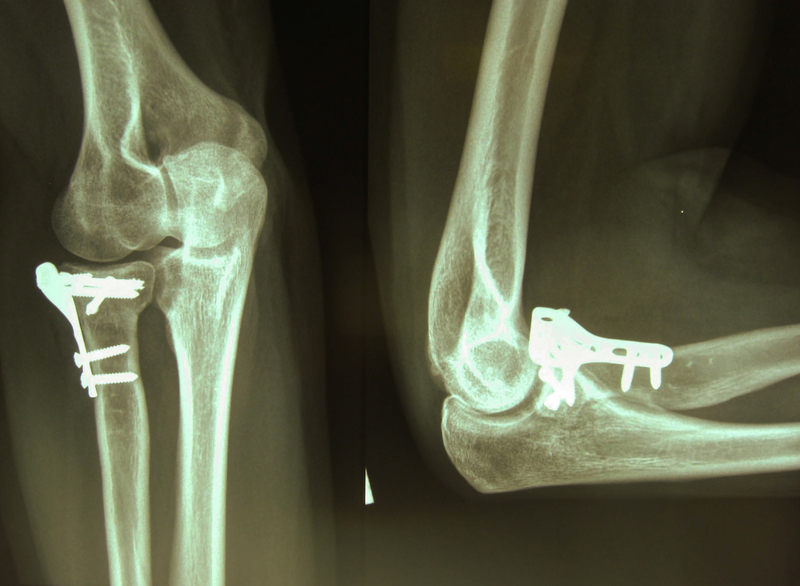 How will my elbow be after a radial head fracture? The long term outcome after a radial head fracture depends on the severity of the injury, associated injuries to the elbow, and how the injury has been treated. In most cases the elbow will return to normal pain free function within three months of injury. The most common ongoing problem is elbow stiffness. Ongoing pain may occur as a result of a failure of the fracture to heal. The elbow may be more likely to develop “wear and tear” arthritis in the future.